We are monitoring the weather as a winter storm is in the forecast for overnight and early tomorrow. At this writing, the College will be open Tuesday, January 29. The administration will decide at 6:00 a.m. if conditions warrant different arrangements. Be advised that a statewide State of Emergency has been declared, but temperatures are expected to remain above freezing in Montgomery. The story is different for West and North Alabama tomorrow, however. If you need to drive tomorrow or Wednesday morning, road conditions could be hazardous in some parts of our region. Dr. Lou Harris has joined the faculty this semester, teaching a course in the traditional day program and a course in the Evening Studies program. Dr. Harris is also consulting with the College in the development of a major in criminal justice for the traditional day program. (A criminal justice major has been part of the Evening Studies program for many years.) Dr. Harris earned his Bachelor of Arts degree at Alabama College (Montevallo), Master of Science in criminal justice at Troy State University, and Doctor of Public Administration at the University of Alabama. He has served as a professor at Faulkner University; as a special agent for the FBI; as an instructor for the Alabama Police Academy and for the Crime Prevention Clearinghouse; and as a lieutenant JG for United States Naval Aviation. He is a member of the Alabama Sentencing Commission and a co-founder and board president for the Institute for Criminal Justice Education, among many professional memberships.The addition of the major will be considered later this spring. If you’re feeling a little left behind, lost, or just would like to understand the material being offered in your classes a bit better, you’re in luck! Academic Coaching sessions begin tomorrow night—and they’re free! There are five sessions each Tuesday , 7–8 p.m.: BADM311 in FL 205; CHEM106 in B2 (Bellingrath); CMST201 in FL202; MATH 155 and 255 in FL 201; and MATH 171 in FL 203. Thursday evenings, 7–8 p.m., CHEM106 will meet in B2. The plan for pre-registration for fall term 2019 has changed, giving each class level more time to register and spreading the registration period across most of the month of March. The fall class listing will be available by February 22, with advising scheduled for the week of February 25. Juniors and seniors will register from 6:00 a.m. March 4 until 5:00 p.m. March 6 (Monday–Wednesday); sophomores, March 11–13; and freshmen, March 18–20 (the same times apply to each group). Huntingdon Summer School is offering 22 online courses and two in-person classes in 2019, so you can take a test while you float in a pool, and earn credit during your summer break! Check out the offerings in Summer I and Summer II, and register through Self Service now. You may be eligible for financial aid—just ask! Beginning in the fall of 2019, the stipulations for being considered a commuter student will change, new benefits will be added for commuter students, and commuters will pay a new Commuter Student Fee of $1,000 per academic year. Students who are under the age of 21 will be expected to live in campus housing (in other words, be campus residents) unless they live within 45 miles of campus with a parent or legal guardian. (Students who live in Huntingdon-owned housing, but off-campus, are considered resident students, so the new fee does not pertain.) Students who are 21 or older or who have earned 90 credit hours, or those who are married or have children do not need to establish that they are living with parents or guardians in order to be approved as commuters. The $1,000 fee for those who are approved to commute to campus will cover parking, security, access to the Commuter Lounge, and a Commuter Meal Plan. Other costs for 2019–2020 were announced in the fall—no increase in tuition and only a 3% increase in room and board for resident students. Supreme Court Justice Ruth Bader Ginsburg has become a pop culture icon, so you might be interested to know that the very first case she argued before the Supreme Court as a young attorney involved a Huntingdon student. In Frontiero v. Richardson, Sharon Frontiero, a nurse and commissioned lieutenant stationed at Maxwell AFB, had been denied benefits (housing allowances, medical, and dental) for her husband, Joseph Frontiero ’73, a veteran and student at Huntingdon College, while male service members were able to receive benefits for their dependent wives automatically. The Frontieros sued Secretary of Defense Elliot Richardson in the United States District Court for the Middle District of Alabama. The case was denied and then appealed to the U.S. Supreme Court— argued there by Joseph J. Levin Jr. for the Southern Poverty Law Center. Future Justice Ginsburg argued on the Frontieros’ behalf, as well, representing the ACLU as amicus curiae (friend of the court). The Frontieros prevailed in an 8-1 decision, the Court holding that the couple’s rights to due process under the 14th Amendment had been violated. Read more about it. Huntingdon has been notified of achieving Tree Campus USA® recognition by the Arbor Day Foundation again for the 2018 calendar year. This is the fifth consecutive year for achieving the recognition, which is conferred for campuses who demonstrate strong methods of tree conservation and promotion both on-campus and in the community. Members of the Office of Student Affairs—Dean Fran Taylor, vice president for student affairs; Kathleen Penney ’15, director of student activities; and DaMonta’ Wiggins, coordinator of community service—were honored at the celebration event for the regional United Way campaign last week. The region raised more than $4 million this year. Huntingdon pledges and gifts were a significant part of reaching that goal, and the Student Affairs staff were instrumental in raising awareness and giving among the campus community. More than 150 members of the College community participated in the Martin Luther King Jr. Day of Service this year. Together, teams of students assembled 10,000 meal kits in partnership with Rise Against Hunger, an international hunger relief organization that distributes food and life-changing aid to the world’s most vulnerable populations. Since each kit can serve up to six children or three adults, Huntingdon teams made it possible to provide up to 60,000 meals for those in need. The service was part of Rise Against Hunger’s Feeding the Dream initiative, packaging more than 3 million meals in partnership with teams around the world in honor of Dr. King’s legacy. Huntingdon staff and faculty and some of their family members also participated in the event. Fifty area physical education teachers were on campus Friday, January 25, for an Adapted Physical Education Activity Workshop, offered by Dr. Lisa Olenik Dorman (Sport Science and Physical Education) and Huntingdon Ability Allies (students in the Adapted P.E. and SSPE programs), in partnership with the Alabama Department of Public Health and the Alabama State Department of Education. The workshop is one of several that will be offered in various locations throughout the state, instructing educators on adapted education practices for working with students who have special needs. Participants were also instructed on Adapted Physical Education National Standards (APENS) and certification. The workshops are funded by a grant from the Centers for Disease Control and Prevention (CDC). Students who are approaching degree completion (75 or more completed hours) should complete a Graduation Application as soon as possible. Doing so prompts a record review and progress completion report to ensure you have considered every class possible. Graduation applications may be found on the Registrar’s Office website. Be sure you complete the one that pertains to your program (traditional day or Evening Studies). If you are a full-time employee interested in using tuition exchange benefits for a dependent or for yourself during the 2019–2020 or 2020–2021 academic year(s), or if you will renew benefits already in place, please notify Brittany Davis, director of student financial aid, before 03/01/2019. If you are unfamiliar with the programs, here are the links: www.cic.edu; www.tuitionexchange.org. The SaveFirst program has moved their former Huntingdon location to the Morgan Library in downtown Montgomery. If you should receive a call from a participant in the program conducted on our campus for the past several years, you may suggest they call 1-888-998-2925 to schedule an appointment. If you are a Methodist student, you may be eligible to apply for a scholarship through the General Board of Higher Education and Ministry of the United Methodist Church for fall 2019. The deadline is March 1, 2019. See www.gbhem.org/scholarshipapplication. 2018 1098-T Tax Forms will be mailed to the address on file for each applicable student by the IRS deadline of January 31, 2019. Were you a Girls’ State participant in high school? If so, Leanne Mallory ’05, director of strategic initiatives, would like to speak with you! Huntingdon will host Girls’ State for a day this summer and we’d love to talk with you about your experience. Please contact Leanne at leanne.mallory@hawks.huntingdon.edu. STUDENTS: for just $10, you can join the Student Alumni Association and get all kinds of cool things—like donuts, and biscuits, and other signs of appreciation for appreciating your college! See the Office of College and Alumni Relations. Hawk’s Nest hours for spring term: Sundays, 1–8p; Mondays–Thursdays, 11a–11p; Fridays, 11a–3p. SENIORS: Order graduation regalia and memorabilia online at http://colleges.herffjones.com/college/_hc/. The deadline is 11:59p, March 15. If you would like to order a class ring, be sure to review the PDF information sent from the Registrar’s Office and enter the promo codes that pertain for savings up to $150. Spring 2019 In-Service Dates remaining: Feb. 8 & 22; April 12. *Always check team schedules or the main calendar for updates as calendar changes are ongoing. Feb. 1, Fri., DEADLINE to sign up for the Ending Procrastination Workshop, Office of Counseling Services, (workshop is 2/5/19; a catered lunch will be provided; workshop is free; 10 participant limit). Email Kelley Rehm, director of counseling services, at krehm@hawks.huntingdon.edu. DEADLINE to sign up to serve as an Orientation Leader for summer 2019 (applications due 2/1; 2 letters of recommendation due by 2/5/19). Feb. 2, Sat., HAPPY 165th BIRTHDAY TO HUNTINGDON! The College was chartered in Tuskegee, Ala., Feb. 2, 1854, under the name Tuskegee Female College, the first of its four names. 12:20–1:50p, Ending Procrastination Workshop, Office of Counseling Services; must register by 2/1/19. Feb. 14, Thurs., HAPPY VALENTINE’S DAY! Feb. 17, Sun., 3–6p, Eastdale Mall, CCV’s JCPenney Suit-Up Event—Exclusive discounts on career wear for students, faculty/staff volunteers, and first-year alumni. The store will be closed to the public during the Suit-Up Event. The women’s basketball team earned their 200th win of the NCAA era with a victory over Covenant College, Saturday, January 19—the same day the team honored former coach and athletic director emeritus Buzz Phillips. Congratulations, Lady Hawks! The softball team spent four days in Puerto Rico to kick off 2019. They played four games at Donna Terry Stadium and explored the culture in San Juan. Abby Blankenship ’18 is in the top 20% of her class at Cumberland School of Law, Samford University. Caswell Compton ’16 married Jenna Rhoads, October 20, 2018, in Louisiana. He works as an account manager in the aviation division of Aerotek in Birmingham, Ala.
Dr. Chris Huckle ’11 and his wife, Brittany, are moving to Gainesville, Ga., where he will join the orthopedic group at Northeast Georgia Hospital System in August 2019. John Jones ’18 has been accepted into the Master of Science in Public Health program at Emory University with a focus in environmental health and epidemiology; and into the Master of Public Health program at the University of Alabama-Birmingham, also with a focus on environmental health. He awaits decisions from a few other schools before making his decision. Dr. Jeremy Lewis, professor of political science, is the organizer for the Alabama World Affairs Council’s Great Decisions lecture series, which began January 23. Children’s books and postcards written/designed by associate provost Tom Perrin under his pseudonym, Tom Spencer, are featured on the Product of Montgomery website. The store is located at 1228 Madison Ave.
Chase Ramsey ’17 is a quality technician with VT Militope and lives in Tallassee, Ala.
Phyllis Killion Ward ’74 has joined the College’s Ability First Resource Center to assist with test proctoring part-time while Mackenzie Garmany ’17 is on maternity leave. We all know and love Phyllis already (she is the co-leader on countless Huntingdon Plan travel-study excursions with her husband, Chief Mike Ward ’76), but please offer her a warm welcome to this post. Former Huntingdon assistant football coach Davern Williams has joined the coaching staff for Troy University under new head coach Chip Lindsey. Davern played for Troy on the defensive line and was drafted in the 7th round of the 2003 draft by the Miami Dolphins, for whom he played two seasons. In addition to the Hawks, Coach Williams has coached for Millsaps, Jacksonville State, Murray State, East Mississippi Community College, Chattanooga, and Akron. Tanasha Terrell Womack ’04 works as a Medicaid eligibility supervisor and lives in Opp, Ala. She recently achieved 10 years of service with the State of Alabama and was promoted to Family Certification Supervisor of the East Region of the Alabama Medicaid Agency. She also co-founded T.A.R.G.E.T. Athletics to promote basketball training in Covington County and surrounding areas. She has two future Hawks, ages 10 and 12, the eldest of whom wants to play basketball at Huntingdon. In recent weeks, we’ve had a nest full of Baby Hawks born into the Huntingdon family. We hope to see all of them enter Huntingdon with the Class of 2041. A boy born to Christina and Mark Alexander ’98. A girl, Millie, born to Brandon and Candice Ruston Bunn ’11, Dec. 7. A boy, Garrison, born to Scott and Kelly Frazier Clark ’10, Jan. 8. A boy, Noah, born to Rhett ’13 and Heather Jones Butler ’14, Dec. 14. A girl, Liv, born to Cody and Mark Colson ’07, Jan. 18. A girl, Ivalee Marie, born to LD and Taura Jill Powell Glenn ’11. A boy born to Matt Ingle ’09 and his wife. A boy, Charles David (Charlie), born to Cam ’14 and Arlyn Williams Lewis ’14, Dec. 8. A girl, Mallie, born to Dylan and Karyn Causey Peterson ’17, Jan. 24. A boy, Beau, born to Carlie Reed ’16. A boy, Ezra, born to Nick ’13 and Catherine Naylor Sheppard ’11, Jan. 18. A girl, Anna-Marie, born to Ashley and Eathan Small ’17. A boy, AJ, born to Jordan and Brian Watts ’11, Dec. 23. A girl, Anna Craig, born to Macy Cate and Austin White ’13. A boy, Emmett, born to Mac and Emily Minor Wingard ’15. Higher education icon, historian, and distinguished Huntingdon alumnus Dr. Charles D. Lowery ’59 died January 12, 2019. He and his wife, Sara “Susie” Bradford Lowery ’60, lived in Starkville, Miss., where he taught at Mississippi State University for 31 years. 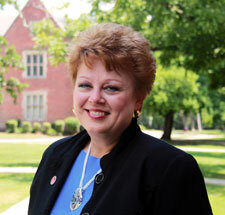 Dr. Lowery previously served on the Huntingdon College Alumni Board. In 2014, he and his wife established the Dr. Charles and Sara Bradford Lowery Endowed Scholarship at Huntingdon. We extend our condolences to Susie and her family. Jule Wilson Willis Perry ’39 died January 6, 2019, at age 101. She was an active member of First United Methodist Church of Montgomery. We extend our sympathy to her daughter, Carol Willis Ballard ’66, and her family. Inez Whetstone Waites did not graduate with her intended class, the Class of 1942, but continued to love Huntingdon all of her long life. She passed away January 20, 2019, in Perry, Ga., at age 106. Her funeral services were conducted by John Brannon ’85 and George Sedberry ’76.